Murray Gold is one of my favourite composers working today. But unlike someone like Hans Zimmer, whose work varies because of the various films they work on, for many years Murray Gold has been slaving away to one show: Doctor Who. Luckily for us, this doesn’t mean he has lacked in his creative range. 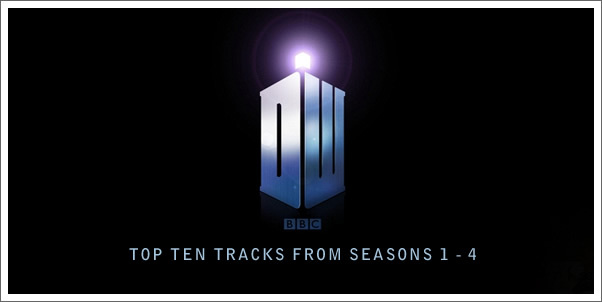 Doctor Who has given him a chance to explore dozens of flavours of music, and since he joined the show in 2005 we’ve been graced with an indecent number of incredible soundtracks. For those who either aren’t familiar with Murray Gold’s work on Doctor Who, or those who haven’t listened to it for a long time, I am going to list my 10 favourite pieces from Doctor Who Seasons 1-4. That includes the entire Christopher Eccleston and David Tennant eras, from 2005 to 2009. This is by no means an easy task, and I have had to exclude a ridiculous number of tracks which I wholeheartedly adore. Nevertheless, here are the 10 pieces I believe to be the best from Doctor Who Seasons 1-4. This piece boasts a truly epic cinematic scale which is totally inappropriate for television - and that is why I love it. The latter half of the piece is a perfect example of the sense of excitement Murray Gold can weave into his music. It’s a perfect Doctor Who action cue if ever I’ve seen one. Groovy, cheeky, and intrinsically Sci-Fi. In the episode it comes from, “Utopia”, this piece makes running around with brutal cannibals at the end of the universe seem like buckets of fun! This track may be short but it ain’t short on fantasticness! It’s the action theme for the David Tennant era. For any fan of the show this piece is sure to conjure up images of The Doctor running about in his brown trenchcoat, dashingly classy hero as he is. There’s bucket loads of Doctor Who’s signature ‘screaming brass’ in here, too. This pick from “Planet Of The Dead” may seem an unusual choice. It’s certainly a much lighter and optimistic piece than everything else here. But out of my entire music library, this is one of my most replayed pieces over the last couple of years. It’s also the ringtone on my phone. It’s so stylish. I’m disappointed it was only used the once, and in an episode I didn’t like very much. It’s the “End Of Time” for the 10th Doctor. The incredibly haunting choir sings ‘Vale Decem’ throughout, which is ‘Farewell, Ten’ it Latin. It builds and builds, until we are graced with one final (and epic) rendition of “The Doctor’s Theme” as David Tennant regenerates into Matt Smith. Did I mention sadness? There’s more emotion in this piece than a school playground. This track from Season 3 takes “The Doctor’s Theme” from the first season and builds it into something tragically heroic. The first half of this piece has appeared in at least half a dozen episodes of the show, and for very good reason. It’s magical. Speaking of magical, I’m segwaying again! It’s the latter end of Season 4 and The Doctor has become lonelier and more tragic than ever, and this is his song to match. The way it is used to conclude the episode “Forest Of The Dead” blows my mind every time. If Doomsday is the continuation of Rose’s Theme, then this is the climax to Donna’s Theme. Murray Gold has entwined reckless levels of excitement into this piece. A bass guitar thrums the whole way through like a heartbeat, and the high pitched strings cry out the sense of finality approaching. This stunning theme for The Doctor’s home planet is filled with sadness and longing, but never ceases being beautiful. In the show it is used as a backing track for David Tennant’s monologue about Gallifrey, but this ain’t no backing track. It deserves to be played loud and frequently. This is a fine example of Murray Gold’s incredible work as a composer on Doctor Who. Again, there are a ridiculous number of incredible pieces I didn’t mention here, but I had to narrow it down to 10 else this article would go a bit bonkers. Your favourite music is also a very opinion-based topic, so let me know what you think! Are there particular pieces you think should have made it into my top 10?